IIRC. I posted cannonball bug fixing from KRO patch note here but it has been removed. Wonderful! Since I must dug in KRO patch note archives again because I forget the patch note date. KRO fixed cannonball elemental bug since 2013. - 캐논볼 자체 속성 투사체의 데미지 오류가 수정됩니다. Edited by Sigma1, 21 March 2018 - 08:09 AM. Even if we're on-topic, the mods will still call it off-topic. Hello Sigma1, I put the post back, apologies! It was caught in during the first time I cleaned this thread. Since iRO Wiki is shutting down their forums, I'm copy-pasting their translation of kRO's August 22, 2012 patch notes here for reference. - Implemented 'Heroes' Trails' part 1 update. Heroes' Trails introduces several stories of the main characters from the original story: Ragnarok and it's background based from it. Research on the dimensional crack have been completed, allowing players to access inner part of the dimension through the dimension cracks found in each of the following areas, 'Expedition Camp', 'Morroc Field', 'Bifrost Field', 'El Dicastes Field'. Once players have finished 'Pursuing Ryan Moore' quest, sequel quest will become available by talking to 'Echinacea' or 'Kidd' NPC. Players will be able to access two new memorial dungeons, 'Faceworm Nest' and 'Sara's Memories', within the inner part of the dimension. 'Faceworm Nest' memorial dungeon is only accessible by level 140+ players and has 23 hour cooldown timer. 'Sara's Memories' memorial dungeon is only accessible by level 99+ players and has 20 hour cooldown timer. - Implemented Wave Mode dungeon. 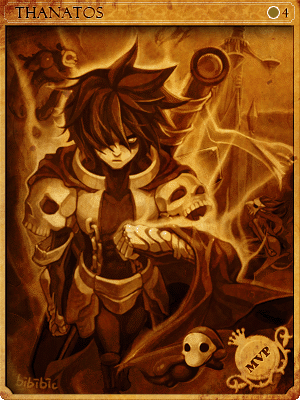 A mini-game mode in memorial dungeon. The game starts when the player enters the dungeon. A monster wave is released once every 20 seconds and the monsters that appear differ for each wave. A boss monster appears every 5th monster wave and the monsters from each waves will not attack even when they are attacked. Once monsters reach the end of the map, they will die instantly. Once 20 monsters die after reaching the end of the map, the mini-game will end. Wave Mode dungeon lasts 1 hour. Entrance NPC 'Cool Event Employees' are located in the following areas. - Added new Eden quests for level 121 ~ 130 range. - Max base level changed from 150 to 160. - Changed the way skill timer is shown. - Changed Warlock skill: White Imprison to trigger skill re-use delay even when the skill fails. - Changed Giearth card to properly provide immunity to chaos status from Shadow Chaser skill: Chaos Panic. - Fixed an issue with Dark Priest monster where the blind status effect inflicted by the monster did not dissipate properly. - Due to an issue with NPC, character movement changes have been reverted back until it's fixed. - Adjusted some 3rd class skill balance and errors. Death Bound - For 2 seconds after using the skill, teleport skill or items with similar effect will have 1 second fixed cast time. Rune Mastery - Rune creation method has been simplified. Deleted the interface window that pops up after clicking on the rune material. Asir rune: Fighting Spirit - Fixed a bug where the rune stone effect would give additional bonus to a rune knight in a 1 person party compared to a rune knight that's not in a party. Nosiege rune: Refresh - Changed the rune stone to be usable while in Frozen, Stun, Deep Sleep, Sleep, Petrification and Crystallization status. Warg Bite - Adjusted SP cost to 40/42/44/46/48. Camouflage - Fixed a bug where a ranger in camouflage state could be targeted by single target skills. Man Hole - Fixed a bug where man hole skill could be placed to overlap with eachother. Song of Despair - Fixed a bug where song of despair skill could be placed to overlap with eachother. Destruction Song - The following additional skills will be removed from targets affected by Destruction song: Song of Despair, Lerad's Dew, Infinite Humming. Saturday Night Fever - Added additional conditions to the skill. This skill works against Players and Monsters only. Targets in Cloaking or Hiding status will not be affected by the skill. Lion's Howling - Fixed Fear status chance on skill activation. The following additional skills will be removed from targets affected by Lion's Howling: Song of despair, Lerad's Dew, Infinite Humming. Demonic Fire - Fixed a bug where a character sometimes could not move to another cell within the skill's AoE. - Fruit bombs will only take effect if the target takes damage. - Banana bomb's LUK decrease will only take effect if target takes damage. - Coconut bomb's Stun and Bleeding status will only take effect if target takes damage. - Melon bomb's movement and attack speed reduction will only take effect if target takes damage. Shield Spell - Fixed an issue where level 3 shield spell's status resistance option was not applied. The status icon (such as burning or freezing) will no longer be visible to other players when the target is in Hiding or Cloaking status. - Corrected an issue with Taekwon Master skill: Solar, Lunar and Stellar Union where the damage reflected from the skill effect could inflict the caster with Critical Wound status. Also, could someone help translate kRO's recent patch, please? According to Google Translate, it says that they're changing the name of the Charleston Crisis instance to something else, but I'm not sure of the new name. Not sure about its name too (King's shoe heel?) but it has been revamped. Added an enchantment to weapon and upgrade unslotted armors to slotted ones. Added clan system to lingering issues. Correction, the old forums that are archived will be up forever. Edited by Blueness, 26 March 2018 - 04:33 PM. Those equipment will be obsolete when it reaches iRO. Another request for turn into etc etc for those equipment. Because they will be less used. That is the reason that I stopped translate new items from KRO to post here. Any new items from KRO will be surpassed by existing OCP items and nobody interest them anymore. I translate items for divine-pride only. With this, kRO should make an instance that rewards an OP equipment or a lesser version of an existing jRO item or they should turn over the development to jRO regarding instances. I think jRO instances has far superior rewards than kRO could offer. kRO should focus more on balancing and WoE revamp. KRO shouldn't be accused for OCP items. They created items which are suitable for their own servers. Their cash shop items such as shadow set, some JRO sprite equipment with weird effect, don't affect the in-game items too much. Though there are some cash items in KRO which are better than in-game items like Mad Bunny, HBP and FAW. It was kro who said we should have them so yes it is their fault, just not entirely. Also, I read in some kRO patch notes that kRO players are also getting some sort of gear boxes in their Kafra Shop that sound eerily like OCPs. ^As I have said, iRO is kRO's Sakray. They tested how OCP items would interact with a kRO server type server setting and voila! Let's hope it doesn't happen though. [We]iRO still need kRO to send updates. Well, iRO players have been very divided over the shadow gear system with some protesting against its implementation on iRO while others welcome it. The confusion over iRO community feedback on the sets likely led to them sending over jRO gears instead in order to make money from the Kafra Shop. Add to the fact that iRO players were generally favorable towards jRO COSTUMES (not gears) and the misinterpretation of iRO wanting jRO gears over shadow gears can be further linked to that player feedback. THEY ACTUALLY FIXED THE GUTTERLINE BULLCRAP??? Edited by VModSoup, 03 April 2018 - 06:17 PM. But we're not getting the update anyways, so it's like it never happened. KRO did something fishy again.